Last May many were shocked to learn that the fabulous Maleficent parade float caught fire. Thankfully, no injuries were reported as a result of the blaze. The parade was promptly closed and Maleficent was ushered back to the Cast Member Only area. (See footage of the fire below). We’re pleased to report that Maleficent is returning to the Magic Kingdom Festival of Fantasy parade today! Catch all the details below. In a signature style befitting one of the most iconic Disney villains, Maleficent makes her triumphant return to Disney’s Festival of Fantasy parade today at the Magic Kingdom. And the big rumor is that she’s had some work done – although she would never admit it. Still sporting her classic Steampunk style, Maleficent returns in full dragon form, complete with enhanced safety features to keep her in check. The fanciful tribute to Fantasyland highlights several new and classic Disney and Pixar stories on a grand scale. There are nearly 100 performers – on stilts, swings and flying rigs – donning vibrant costumes in this lively mini-Broadway cavalcade soaring to new heights on Main Street, U.S.A.
Want to celebrate Maleficent’s Return? Here are some ways to do just that! 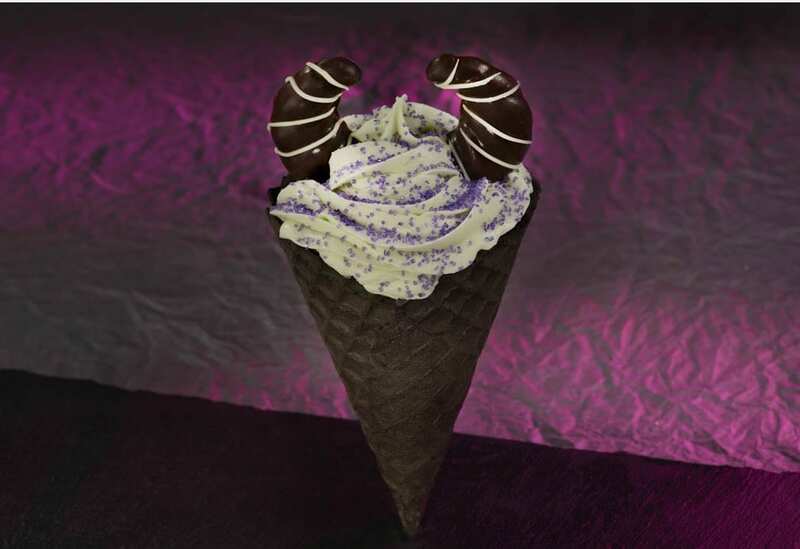 Guests of Disney Parks also can find that perfect Maleficent-themed souvenir to celebrate her return. 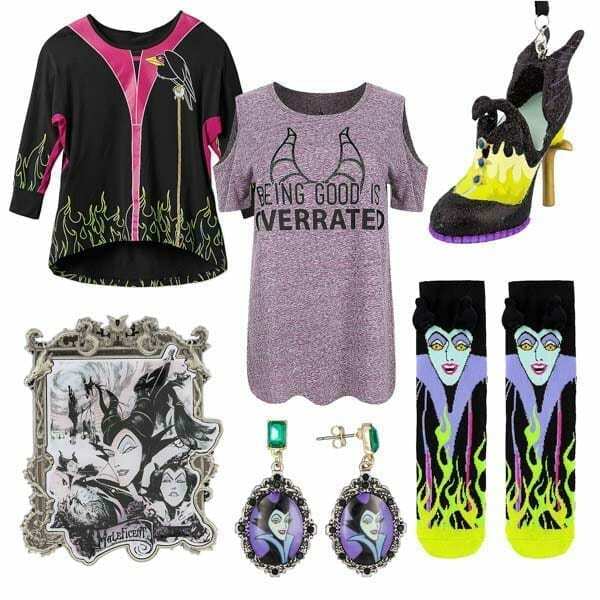 From T-shirts to earrings, jewelry, and even Maleficent socks, guests can deck themselves out in Maleficent Couture from head to toe – available at “Sir Mickey’s” and “The Emporium” at Magic Kingdom. Disney Ears, featuring her iconic horns, can be found at millinery shops like “Le Chapeau” at Magic Kingdom and “Celebrity 5 and 10” at Disney’s Hollywood Studios. Guests can also take home pins, ornaments and other mementos from their favorite villainess. We’ll be posting photos of the enhanced float as soon as we have some. If you happen to catch the parade today, please send us your photos and video. 8 – It takes lots of cast members to run the parade. It is over 100, actually! It seems like a LOT of cast members, but there are all important. 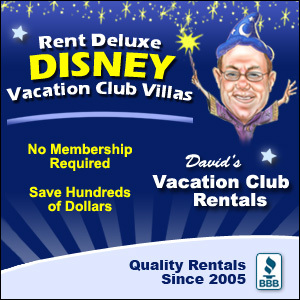 They work hard to make this an extremely magical moment for all guests. 7 – How many floats are there? There are actually 9 total floats that make up the parade. Across these 9 floats and the walking cast, more than a dozen classic Disney movie favorites are represented. 6 – A large amount of characters are represented. 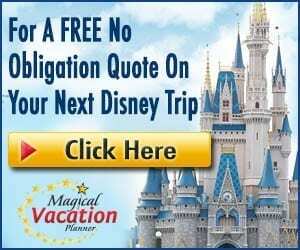 There is a very likely chance that you will see many of your absolute favorite characters while you enjoy this amazing parade. You will actually get to see around 40 beloved characters either live or in sculptural form. 5 – The Princess Garden float is HUGE! The Princess Garden Float is an impressive 50+ feet long. On the float you will likely also see big favorites like Belle and Beast, Cinderella and Prince Charming, Anna and Elsa, and Princess Tiana and Naveen. Not only that, but the way the ride is constructed you get to see each of them with great views because they rotate so that you get views of all of them! So no worries about which side of the street to stand on! You will get to see them all! 4 – Mickey’s Airship float is the tallest float in the parade. This float towers over the crowd with the top of the float reaching 32 feet high. It’s extremely impressive in person, and so detailed. It is designed to look like a huge hot air balloon with characters from Fantasia sculpted around the base, and Mickey and Minnie ride in the basket under the balloon and greet all of the smiling guests along the streets. This is the finale of the parade, and nothing is better than getting to wave at Mickey! 3 – The float contains costume pieces and items that were 3D printed. This just blows my mind. They actually digitally drew and sculpted various pieces and costume components. These digital files were then used to become and tangible reality through 3D printing. One example of one thing that was 3D printed are the headpieces that the clam shell dancers with the Little Mermaid float wear. Impressive, right? It will definitely give you a larger appreciation for the details when you are watching the parade! 2 – What about that dragon? The Maleficent dragon float is one of the most impressive and most talked about floats. It is 53 feet long and 26 feet tall, and super impressive. 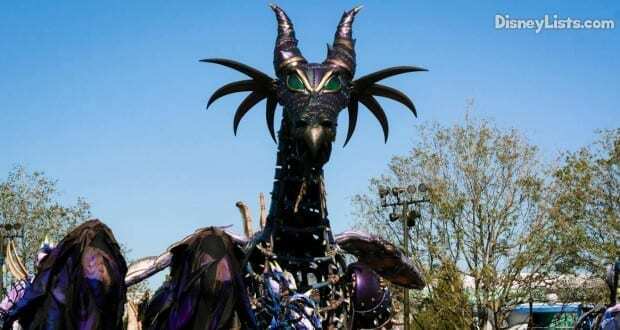 Disney actually employed a Tony Award-winning designer, Michael Curry, to help with the design that was used to develop this steampunk rendition of Maleficent as a dragon. Even better, the dragon is in fact a fire-breathing dragon, for a perfect effect to bring the magic to life right before your eyes. 1 – The costumes are as elaborate to make as they appear. Disney spared no expense or detail in creating each and every one of the costumes that are worn in the parade by the characters and by the various dancers. They even had custom fabrics designed and created exclusively for these costumes, so don’t expect to find many of these prints in the stores. For most of the dancers, it took as much as 30 years of fabric just to make one costume. Can you imagine the time it would take to cut and make all the pieces, let alone the regular care for these costumers? If you just look at Minnie’s dress and hat, the 95 dots on her costume were cut out, individually decorated and bedazzled, and then each one was then sewn on individually. What work and detail!! !